Locks and locking devices specifications. Read the reviews our happy customers wrote on their experiences with us. Are you happy with our services? Leave us a review! Welcome to Locksmith Care, one of most trusted and reliable security company in Greater Toronto Area. We are 100% Canadian owned and we are a 12 /7 Emergency service provider company. We specialize in lock security hardware for home and business needs. If you’re seeking a locksmith who can get the job done - you’ve come to the right place. At Locksmith Care we are experienced 12/7 mobile lock smith for Greater Toronto Area, including East York and North York. We offer our customers affordable service for any job in question. Whether you have accidentally locked your home and need immediate help or you are looking to replace a series of locks - you can count on us for prompt, reliable service that won’t break your bank. When you need a licensed emergency Locksmith, the professionals from LocksmithCare are here to help. We’re proud to be locally owned and operated in Toronto, Ontario, and to serve our community with quality work. With certified master lock smiths on staff you’ll never be stranded for long. We’re fully licensed and insured, so you can feel confident when working with us. Don’t hesitate to get the service you need. Call us today. When you need a dependable Locksmith Service in Toronto and Greater Toronto Area look no further. Call us first open 12 hours a day 7 days a week. LocksmithCare offers you the full range of locksmith services in Toronto, covering a wide perimeter of the city. Our company is a certified and insured provider of this specific service, which can benefit both private and business customers. Our services are designed to meet the needs of everyone. Whether you are a homeowner, manager, tenant or landlord, we will offer you a comprehensive service that will fully satisfy you. What can you expect from LocksmithCare? As one of the most affordable locksmiths in Toronto, we offer a wide range of services adjusted to consumer demand. We do not force you to accommodate your needs with our capabilities. We are the ones who take into account what you need and provide reliable and responsible solutions. If you are looking for a 12/7 locksmith in Toronto, we are the company you can always call, regardless of the complexity of the problem. Being aware of the unpleasant situation in which you can not enter your own home or business premises, we have tried to develop an extremely fast service to offer to all our customers. Whether you need a residential or commercial locksmith in the Toronto Center or Greater Toronto area, our teams are fully prepared to arrive at your address. We are the fastest licensed professionals and we’ll offer you reliable service. If you are looking for a reliable locksmith – LocksmithCare is entirely at your service. We have special offers for every business, and we can also offer the safest security locking system for your building, which will help protect your most valuable resources – employees, company assets, documents and money. Our commercial customers will be fascinated by our affordable prices as well as the quality of the locking systems we work with. Whether it’s your home or business when you need to increase security in your own or your entrusted facility, LocksmithCare is the most appropriate company near you, because we can offer you top-class security locks . We offer a huge variety of I / C core locks and cylinders, high-tech locks and door closers, electric strike and more. We can replace all standard locks in your facility with the most up-to-date and secure locking systems for a minimal time. 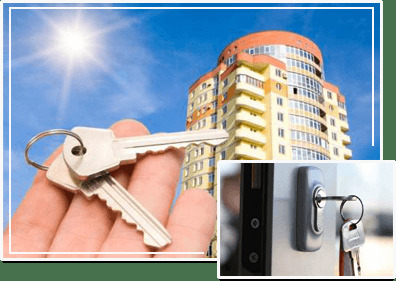 Many managers, owners and landlords rely on the Master Key systems that we, as the most reliable emergency commercial locksmith in Toronto for factories, offices, buildings, condominium and stores, offer. LocksmithCare is the company that provides them with timely access, which means both discretion when it is needed and adequate response to urgent and problematic situations. Our services always save a lot of unwanted and annoying problems. We are your trusted partner, not only because we offer high-quality and fast service but also because our prices are closest to your expectations. Both our commercial clients and homeowners finally have access to a profitable and professional service. We can safely be called the most profitable locksmith in Toronto, given the wide range of services offered, the high quality of work and the locking systems used, the fast response and the perfect communication with every customer. No matter where in the city you are, do not hesitate to contact LocksmithCare because there are no uncomfortable locations and unfulfilled tasks for us.